I am an Essure Birth Control Victim. I am writing to inform you of the issues with this device as you are currently providing coverage for this procedure, and to ask you to investigate the ensuing health of the other members who have received this device. I would also like to ask that you create some sort of trend report to investigate how many women your company has paid for to have this procedure only to have to pay for them to have it removed. This would include investigating all members who have had the procedure and then have had subsequent health issues and/or removal of the device and/ or hysterectomy. I believe that aside from the dangers this device imposes on women, it is also becoming a drain on the healthcare and insurance systems because of the subsequent health issues that women have suffered following the implantation of the Essure device. For some, this also incurred a slew of other health issues for their children because of nursing at the time of implantation. This device is known to leach nickel into the bloodstream but is still new enough that not many studies have been done. Some women were forced to quit breastfeeding which also sometimes incurs more healthcare fees, as it is well known and documented that breast is best. Breastfeeding is known to prevent common issues in young children like ear infection. My Essure procedure was thousands of dollars and the subsequent costs are greater than that even. It is being brought to my attention however, that many insurance providers are moving to cover this method, and sometimes this method alone, due to the assumed cost savings of the procedure under normal circumstances because it can be done in an office setting. However, the costs that follow most members definitely outweigh the savings provided by the in-office procedure. Pregnancy- Multiple pregnancies are being reported daily on a Facebook group called Essure Problems. Nickel allergy- there is no longer a required patch test because the nickel contraindication was removed. Many doctors now do not make patients aware that there can be an issue with nickel hypersensitivity because the manufacturer was allowed to remove the contraindication with insufficient evidence. Many, many women are now getting the device only to have a reaction to it, and find out later that it contains nickel. The manufacturer states that there is not enough nickel to cause a reaction even in women who have a known nickel hypersensitivity but the device is over 50% nickel. Despite the manufacturer’s claims, nickel allergy remains the number one reason insurance companies will cover the cost of Essure removal. Also, the FDA has finally forced the manufacturer to add a warning to the device that because it is made of nickel, once it’s placed inside the woman, it can cause nickel allergy by continued exposure to the allergen. It is estimated that some 10% of the population suffers from nickel allergy. It is believed to be more prevalent in women than in men due to the fact that women pierce their ears which leaves exposed skin to which nickel is placed inside. This is known to cause a nickel allergy and so the implications that this device applied to exposed skin and tissue could very easily create the same response are great. Nickel is one of the most common allergenic metals. Stainless steel is also used in the Essure device, as well as PET fibers. It has been shown that the device does leach nickel into the system as per the manufacturer. The leaching of nickel into the system is an additional concern. Bayer claims that the amount that is leached into the system is less than encountered daily in our diet and environment but it also builds up with constant exposure and added to the daily diet intake and environmental exposure this amount could exceed an acceptable amount. Many times the symptoms suffered by the women with this device strongly resemble those of nickel poisoning. This also brings into question a personal issue of possibly nursing a child while having this device. It has been clinically proven that nickel passes through the breast milk. If the amount is enough to cause symptoms in an adult, what might it cause in a tiny baby? Testing for this is very expensive and not terribly reliable anyway and you can see how the costs of just the nickel allergy itself could be very hefty. The implantation procedure many times is not possible on the first try because of a spasm of the fallopian tube and so the procedure has to be tried again. Also, the procedure doesn’t always provide tubal occlusion and the woman then subsequently requires another form of birth control or permanent sterilization, usually to include surgery of some sort. Migration of the device is an issue that is seen frequently that causes pain and many times organ perforation or further damage to the surrounding organ structures in the peritoneal cavity. Migration issues guarantee subsequent surgery to remove the devices if they can be found. This leads to numerous imaging expenses just to find the device to get it removed. For example, ct scans, MRI, ultrasounds to try to ensure that they are where they are supposed to be and then after surgery that they are gone. Most of the time pain is associated with symptoms and so imaging is generally required to determine if something is wrong. In many cases the devices have become embedded in the bladder, colon, bowel, etc and this requires major surgery for removal and many times resection. Autoimmune Disorder-this is another huge concern with this device. More and more women are being diagnosed with one or more autoimmune disorders or autoimmune symptoms following the implantation of the Essure device. If you follow these women’s health history, most of them did not have prior health issues. 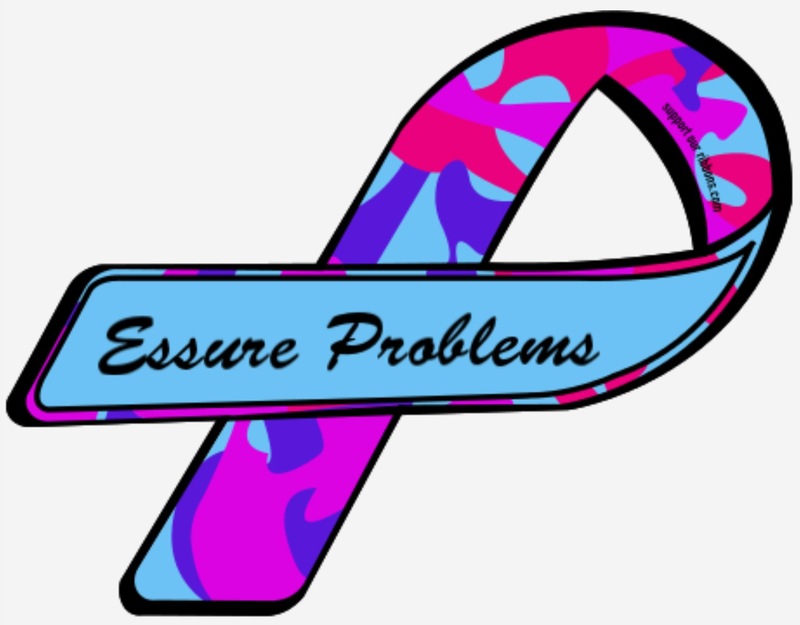 Many women who suffer with the Essure device, removal by bilateral salpingectomy (just tubes and device but leave the uterus) this is sometimes not sufficient and leaves behind PET fibers which cause inflammation and ongoing health issues. Doctor’s have not known this until just recently. The body basically fights the device because it’s foreign and the fibers that it leaves behind. We are seeing this trend more and more in patients with the Essure device. Autoimmune disorders are a lifelong problem with costly remedies, none of which will permanently “fix” the patient and with the device still in place, the continued inflammatory response will continue to cause problems. Insulin Resistance and Diabetes--Scientific studies have proven that PET fibers or PET material has been found to cause endocrine disturbances and has been linked to insulin resistance. This is what is thought to happen- PET fiber interferes with the insulin receptors. The receptors can no longer recognize that insulin is being introduced and so the pancreas continues to crank out insulin constantly. This is called insulin resistance or pre-diabetes. If left untreated or unmanaged it can and in most cases will become Type 2 diabetes. Many of the symptoms suffered from this medical device are closely related to diabetes symptoms for instance, urinary frequency, leg and foot pain, neuropathy, excessive thirst, hair loss, almost thyroid type symptoms. What are the implications if this device is capable of causing these kinds of chronic and irreversible health conditions and why aren’t they stated on the manufacturer’s brochure in plain sight for the consumer to see so they can make an informed decision. The biggest concern for you, the insurance provider, especially in the case of diabetes, is the additional cost that you will incur for lifelong health issues due to this device. Diabetes, if I am not mistaken, is expected to break the healthcare system within the next five years. There is currently very much controversy surrounding this device and whether or not it is safe. News stories have aired over the few years. Recent newscasts stated that the FDA investigation had found that the clinical trial reports had been altered. The FDA is not currently doing anything to stop this device from being marketed and so it is still being performed in most doctors’ offices in the United States, many of which are misleading the consumer and convincing them that this is the only option for birth control. I’m sorry to take your time as I am aware of how busy you must be, but I beg that you will do some research into the matter before the complications of this device become a further drain on your insurance company. Also, this device is still fairly new and any statistics that can be compiled pertaining to pregnancy after Essure, future health complications, and cases where Essure has had to be removed would be very helpful studies to provide to the FDA.